This page will help you build the ESP32 version of AirWhere to be connected via WiFi to android, this can be then placed in a box and powered by usb or a battery. Optional items are sounds and a vario. A GPS can also be added which will let the unit run as a tracker but will still have the ability to connect to Android for all the pilot information. If you are going to share the GPS from the Android device then you dont need to add a GPS module, if you do however, please install as below. WiFi mode allows the board to be used in a simple set-up or for testing purposes. Currently it works with XCSoar and LK8000 but its in development with XCtrack as well (beta). XCTrack will be fully integrated with AirWhere shortly. If you are using an Android device such as a phone or tablet and it has a GPS installed then there is no additional wiring for the ESP32 to work as AirWhere with your device and show other AirWhere users. 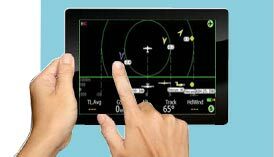 The set-up entirely depends on what flight software you are going to use. If its XCSoar / LK8000 or XCTrack (beta). AirWhere doesn’t have a built in GPS on the board so you will need to get the Android device to send its internal GPS data to the AirWhere. There are a number of ways of doing that but the easiest way I’ve found is to use the free application called ‘Share GPS’. This can be found on Androids Play Store. 6.1 Go to Androids Play Store and download ‘Share GPS’, once it is installed run the application. 6.2 Click on ‘Connections’ and ‘Add’. 6.3 Click on ‘Activity’ and select the first option - ‘Share my gps with a laptop or tablet’. 6.4 Choose the option ‘Use TCP/IP to send NMEA GPS to PC’. 6.5 Tick ‘Connect on App Start’. (if you have the premium version) then name it, e.g. ‘airwhere’. 6.6 Set up as ‘use UDP instead of TCP’. 6.7 Input ‘Host’ as 192.168.4.1 and ‘Port’ as 10111 . When complete it will be set to ‘idle’. To start the server, first make sure your android device is connected to the AirWhere wifi access point and then click on ‘Idle’ which will switch to ‘Connected’. When your phone gets a GPS fix the T:0 on the heltec board will be increasing in value, this is your data being sent out. If you have added your wifi details as your device gets a fix you will be shown on live tracking page. i Connect to the AirWhere home page by connecting to its wifi and going to 192.168.4.1. .
Then under ‘Flight Software’ choose ‘LK8000 - Android’ and under Connection mode choose ‘Wifi Mode’ and click ‘Submit’. The board will restart. iii Check that the ShareGPS software is now showing connected. (if you have setup the app correctly). Now you need to let LK8000 know where to get the AirWhere data from. v Press the menu button bottom right, then ‘config’, ‘config’, ‘LK8000 Setup’, ‘Device Setup’. vi Device A should be ‘Internal’ . vii .Device B should be ‘Generic’, ‘UDP Server’, ‘Port 10110’. viii Press close.and then a line saying restarting comm ports will come on screen, then detected FLARM, this shows your system is working. ix Press the middle of the bottom info bar and the flarm screens will come up, check the airwhere video sections for usage. ii Click Configure Hardware. Then under ‘Flight Software’ choose ‘XCSoar - Android’ and under ‘Connection mode’ choose ‘Wifi Mode’ and click ‘Submit’. The board will restart..
iii Check that the ShareGPS software is now showing connected . (if you have setup the app up correctly). v Double click on the plane icon at the bottom and bring up the menu. Click ‘Config’ and click. vi Device A should be set to ‘Built-in GPS & sensors’ and . vii Device B should be set to UDP Port, TCP port 10110 and Driver FLARM. . If the AirWhere is on and the ShareGPS is in a ‘Connected’ status then XCsoar will show that its receiving FLARM data (that’s just AirWhere data). That’s it, Airwhere is now configured! When AirWhere sees another user it will be shown as FLARM traffic in the XCsoar application. 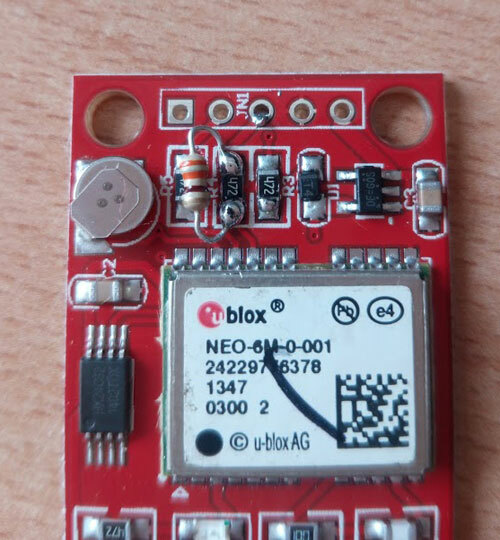 Firstly you will need to purchase a piezo buzzer and then attach ground of the buzzer to ground on the esp32, the positive of the buzzer to pin 32.